During the first half of the fourth quarter the Russell 2000 ETF (IWM) lagged the larger S&P 500 ETF (SPY) by about 4 percentage points as investors worried over the possible ramifications of rising interest rates. The hedge funds and institutional investors we track typically invest more in smaller-cap stocks than an average investor (i.e. only 298 S&P 500 constituents were among the 500 most popular stocks among hedge funds), and we have seen data that shows those funds paring back their overall exposure. Those funds cutting positions in small-caps is one reason why volatility has increased. 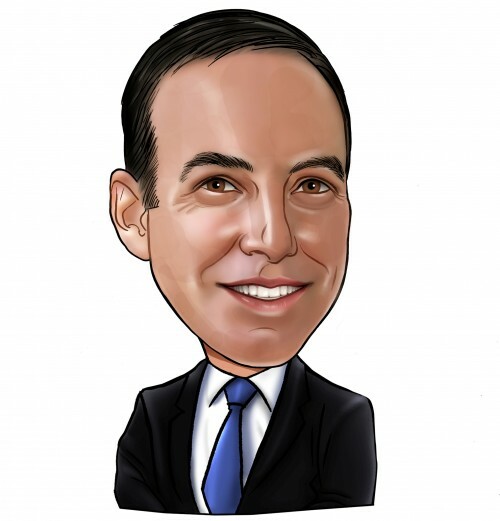 In the following paragraphs, we take a closer look at what hedge funds and prominent investors think of The Stars Group Inc. (NASDAQ:TSG) and see how the stock is affected by the recent hedge fund activity. Is The Stars Group Inc. (NASDAQ:TSG) a healthy stock for your portfolio? Prominent investors are taking a bearish view. The number of long hedge fund bets fell by 8 in recent months. 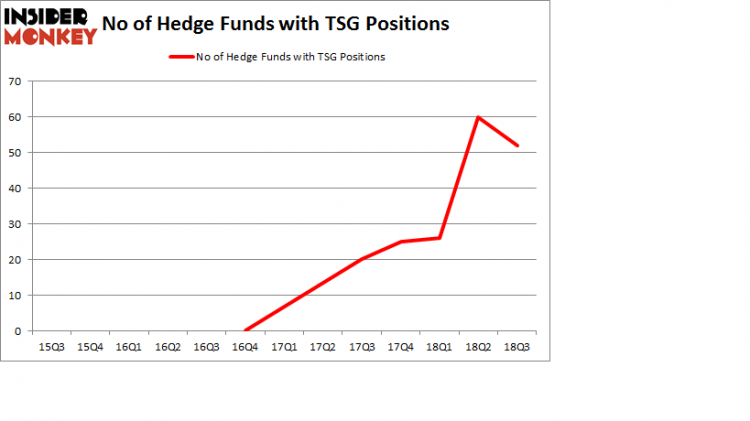 Our calculations also showed that TSG isn’t among the 30 most popular stocks among hedge funds. Hedge funds’ reputation as shrewd investors has been tarnished in the last decade as their hedged returns couldn’t keep up with the unhedged returns of the market indices. Our research has shown that hedge funds’ small-cap stock picks managed to beat the market by double digits annually between 1999 and 2016, but the margin of outperformance has been declining in recent years. Nevertheless, we were still able to identify in advance a select group of hedge fund holdings that outperformed the market by 18 percentage points since May 2014 through December 3, 2018 (see the details here). We were also able to identify in advance a select group of hedge fund holdings that underperformed the market by 10 percentage points annually between 2006 and 2017. Interestingly the margin of underperformance of these stocks has been increasing in recent years. Investors who are long the market and short these stocks would have returned more than 27% annually between 2015 and 2017. We have been tracking and sharing the list of these stocks since February 2017 in our quarterly newsletter. We’re going to review the recent hedge fund action regarding The Stars Group Inc. (NASDAQ:TSG). What does the smart money think about The Stars Group Inc. (NASDAQ:TSG)? At Q3’s end, a total of 52 of the hedge funds tracked by Insider Monkey held long positions in this stock, a change of -13% from the second quarter of 2018. Below, you can check out the change in hedge fund sentiment towards TSG over the last 13 quarters. So, let’s review which hedge funds were among the top holders of the stock and which hedge funds were making big moves. Among these funds, Tiger Legatus Capital held the most valuable stake in The Stars Group Inc. (NASDAQ:TSG), which was worth $168.3 million at the end of the third quarter. On the second spot was Indus Capital which amassed $83.3 million worth of shares. Moreover, Cumberland Associates / Springowl Associates, Three Bays Capital, and BeaconLight Capital were also bullish on The Stars Group Inc. (NASDAQ:TSG), allocating a large percentage of their portfolios to this stock. Due to the fact that The Stars Group Inc. (NASDAQ:TSG) has faced a decline in interest from the smart money, logic holds that there is a sect of hedge funds that slashed their full holdings heading into Q3. Interestingly, Doug Silverman and Alexander Klabin’s Senator Investment Group said goodbye to the largest investment of the 700 funds watched by Insider Monkey, comprising about $154.3 million in stock, and David Gallo’s Valinor Management LLC was right behind this move, as the fund said goodbye to about $76.2 million worth. These bearish behaviors are interesting, as total hedge fund interest fell by 8 funds heading into Q3. Let’s go over hedge fund activity in other stocks – not necessarily in the same industry as The Stars Group Inc. (NASDAQ:TSG) but similarly valued. We will take a look at Old Republic International Corporation (NYSE:ORI), Assurant, Inc. (NYSE:AIZ), James Hardie Industries plc (NYSE:JHX), and Pool Corporation (NASDAQ:POOL). This group of stocks’ market caps are similar to TSG’s market cap. As you can see these stocks had an average of 15.5 hedge funds with bullish positions and the average amount invested in these stocks was $258 million. That figure was $911 million in TSG’s case. Assurant, Inc. (NYSE:AIZ) is the most popular stock in this table. On the other hand James Hardie Industries plc (NYSE:JHX) is the least popular one with only 2 bullish hedge fund positions. Compared to these stocks The Stars Group Inc. (NASDAQ:TSG) is more popular among hedge funds. Considering that hedge funds are fond of this stock in relation to its market cap peers, it may be a good idea to analyze it in detail and potentially include it in your portfolio.